August reigns as an odd month in Maine. Dawns can be downright chilled, offering a hint of fall, but by 9 or 10 a.m., it’s summer again. By sunset, temperatures drop again, and if the temperature stays in the mid-60s after dark, particularly when humidity figures rise to 70, meteorologists are apologizing about the heat for sleepers. 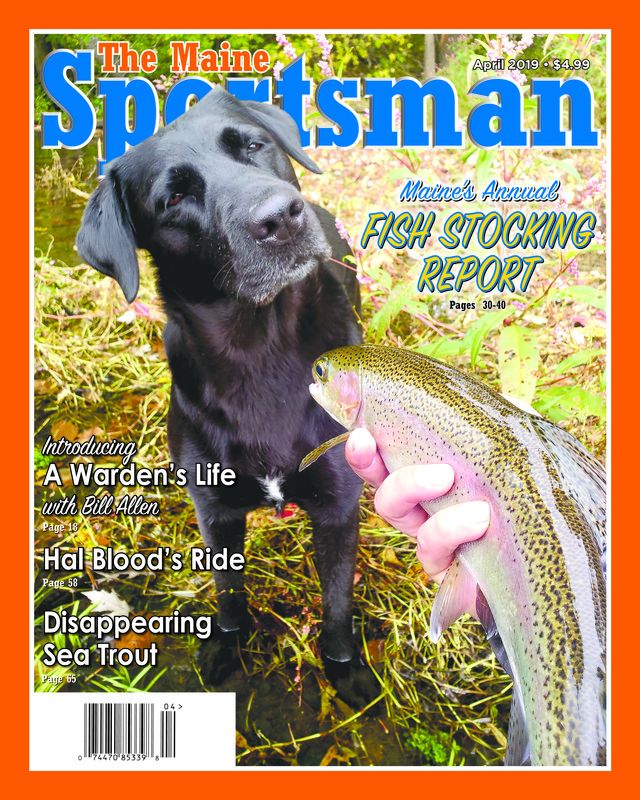 So, folks preparing their bird dogs and hounds for the fall work them early in the morning or in the evening, and up north, fly rodders hit brook-trout ponds at sunset for those blizzard-like hatches that offer 30 or 40 minutes of fast casting over rising brookies, sipping mayflies or caddises. Trout anglers who decide to take a break and fish for bass worry like old-maid aunts over the high afternoon temperatures, but we’re talkin’ barse. A hot sun doesn’t slow them down on the feed. Fishing rocks under an afternoon glare, and real bass anglers know that fact. Deer and bear scouting pick up big time this month, and again, wise veterans get out early in the morning or late evening to take advantage of low temperatures, as do folks shooting rifles, smoothbores or bow and arrows for their fall sports. Practice now polishes trigger squeeze for riflemen, mount and swing for shotgunners and consistent anchor point, crisp release and steady bow arm for archers. Vehicle camping, canoe tripping and backpacking rock this month, because black flies and mosquitos often subside now, unless cold rains get these bugs going again. Deer flies give outdoorsmen fits now, even bicyclists who get these bugs crawling through helmet holes or slits and chewing on the old skulls, even when flying down a hill. August may strike folks as a slow month in the Maine outdoors, great for leisurely barbecues on the back deck, but plenty goes on, including the above. Also, folks exercise plenty to be in better shape for fall hunting, so they walk, run or bicycle, and the dedicated ones put in at least 60 minutes of exercise each day. Dog owners may notice pimply bumps around a dog’s mouth below the nose. The cause of that problem is easily solved. The dog dish should be washed every day or two, and the pimples disappear. This writer uses two glass bowls for feeding, soaks them in hot, soapy water to remove germs and then washes the bowl or bowls in a dishwasher. Anglers who need reading glasses for tying on flies, baiting hooks or dealing with hardware lures or any angling chore that requires fine work should buy a pair of high-magnification reading glasses that cost little at supermarkets, drug stores and so forth. Then, the angler should keep the glasses in a fishing vest or tackle box should he or she forget to bring regular reading glasses for a day or evening of angling. Folks who wear glasses have all been there at one time or another. It’s evening and trout rise everywhere, and there we sit without glasses to tie on a fly – so frustrating. Outdoors types choose bicycling as a fun way to get into condition for fishing and particularly hunting, and also, these 2-wheeled machines can get us behind gates and onto trails that easily take us a mile or two (or 10) beyond where vehicle access is permitted. At one time or another while bicycling, particularly on paved highways, we may be descending a hill and come into a sharp turn too fast. To avoid skidding out of control, experienced bicyclists drop the outside pedal to its lowest position and push down hard as if they are trying to break the pedal off. This glues the tire to the road better for a safer passage. The real cure for the problem of hitting curves at high speeds is simple: Pay attention and don’t do it, but in those times when we make a mistake, and we all do, this above trick may save a bicyclist from a crash. Two or three years ago, Jim Andrews, “The Self-Propelled Sportsman” columnist, told me that canoe-and-kayak businesses in his area have seen an intriguing shift in sales record. These days, customers buy kayaks nine to one over canoes. Whether sports folks purchase kayaks or canoes, though, the Sandy River between Phillips and Strong ranks as a superb float with its gravel bottomed course and crystal-clear water. This stunningly beautiful river lies near enough to southern and central Maine populations for a day trip, too, an allure. This stretch lies northwest of Farmington, and its toughest rapids begin at the put-in spot below the bridge in downtown Phillips. While growing up, my two daughters’ loved this river, where I would pole upstream from Devil’s Elbow just above Strong. This river runs cold most of the year, even in early July, but its water heats up by August. The cleanly washed gravel from a steady current and lack of weeds create ideal conditions for stopping to swim. Bring a lunch and make a day of it. Please check DeLorme’s The Maine Atlas and Gazetteer (MAG), Map 19, B-4. The mile-long Rockland Breakwater (MAG, Map 14, E-3) in Rockland Harbor offers public access and ample places for folks to fish, and after a day of catching mackerel, cunner and even stripers at times, nearby restaurants offer some of the best seafood that Maine offers. There’s also a superb art museum with impressive oils and watercolors, the Farnsworth Art Museum and Wyeth Center in downtown Rockland, a small city so the museum is easy to locate. This writer fished there often in his youth, a fine spot for anglers without a seaworthy boat but want a mess of mackerel or other salty pan fish for a guilt-free fish fry. Light tackle for mackerel and heavy gear for stripers works fine here – a spot that has served generations of anglers. Both studies showed that nonfatal gun crimes fell by 70 percent in the same period. The reports also show that handguns account for almost all firearm crimes, and the majority of them occur in places with the strictest gun laws. Criminals at Gun Show Sales? A 2004 study, the latest available statistics on the topic, showed that 2 percent of inmates in prison reported to buying their firearms in flea markets or gun shows – a surprisingly small percentage. Any firearm bought in a gun show from a licensed dealer goes through a background check. Only private sales between citizens without firearms licenses – say in parking lots next to gun shows or kitchens – don’t require background checks. Maine deer hunters overwhelmed by the successful proliferation of turkeys blame this bird for many woes, including a declining deer herd and spread of deer ticks that carry Lyme disease. According to wildlife biologists, though, turkeys and deer do not compete for limited food sources, so these birds are not stealing forage from deer. Also, turkeys do not host ticks that transmit Lyme disease nor do they eat ruffed-grouse eggs. In fact, turkeys were native to Maine until extirpated 200 years ago. In short, this game-bird species belongs here. Crooked River has everything to recommend it. Crooked River a Valued Resource! All rivers have an undeniable value, but the Crooked River running into Sebago Lake really shines as an important resource in more ways than one. According to the Congress of Lakes Associations, the Crooked provides 40 percent of the direct flow into Sebago Lake, a water supply for 200,000 people. 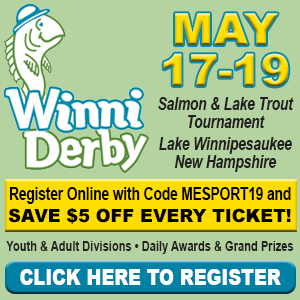 It also provides landlocked-salmon spawning habitat, ranks as the only home to wild salmon in southern Maine, is as an important Maine salmonid fisheries and offers great birdwatching and superb kayaking and canoeing. The possibility of tar-sand oil running in a pipeline by this precious resource frightens environmental groups, because this oil is heavier than even crude oil and sinks in water. Headwaters Economic, an independent, nonprofit research group, released two studies of potential economic impacts of a new national park and recreation area east of Baxter State Park. The study considered income and jobs in counties similar to areas that are now national parks. In other states near national parks, the average wage and number of employment opportunities exceeded figures for the national average and for Piscataquis and Penobscot counties. Cedar Waxwings Eat Cherries and…. In the mid-Atlantic states and Midwest where commercial cherry orchards grow, folks often call cedar waxwings “cherry birds” because of the species fondness for eating this drupe. On summer evenings in Maine, many fly rodders might call this waxwing “mayfly bird,” because cedar waxwings fly back and forth across a river or stream to perch on limbs hanging over the water. On each short flight across, they catch a mayfly, before flying ashore to swallow it. Back in the spring, the Department of Inland Fisheries and Wildlife issued a news release, warning motorists to watch for turtles crossing the road, a step to stop drivers from running over these poor reptiles, an obvious problem in this writer’s opinion. While bicycling in the spring turtle-nesting season, I commonly see these painted or snapping turtles trekking across Route 27 at the “turtle crossing” just south of the old Messalonskee Boat Launch. I often stop and carry them across the pavement. Two years ago, as I carried a large painted turtle across the busy road, it scratched me. A few days later, I became violently ill with salmonella symptoms, vomiting, severe lower-stomach cramps, headache and fever, but I dismissed my personal diagnosis, because I hadn’t been eating foods that we associate with salmonella – chicken, hamburg and lettuce. I still move turtles at that crossing and elsewhere but had already carried latex gloves with me on the bicycle to handle the greasy chain when it come off the chainring. This precaution keeps me from handling the turtles with bare hands, but admittedly, the chances of getting salmonella are remote – but possible – when moving turtles across the road. Cunner (Tautogolarus adspersus) attracted more angler attention in Maine during the two decades after World War II, because this small species closely related to tautog lived around pilings, wharfs and breakwaters, where the bottom was hard, making this little fish easy targets for shore-bound anglers after a mess for a fish fry or chowder. One discouraging feature of cunner has kept folks from fishing for them in recent decades. They’re small and seldom grow longer than six inches; however, the world record is 2-pounds, 3-ounces, a giant. In short, it takes lots of work to turn a little fish with scales and substantial fins into food, and folks in the modern era lack the ambition to deal with this fish. According to Vic Dunaway, author of Sportsfish of the Atlantic, the food value is “excellent,” making the end result for a meal worth the trouble. Folks fish for cunner with very light tackle and small hooks baited with worms or clams or bits of those two baits. As a kid, this writer even used a single cornkernel, solitary baked bean or small piece of hotdog minus skin. Brown sharks have shown up at Popham Beach, as the author’s daughter can attest. We hear stories of fish species such as bonito expanding north and showing up in Maine at the mouth of the Saco River. Along that line, about eight years ago, this writer’s oldest daughter was swimming at the commercial beach at Popham on the mouth of the Kennebec River. She has an interest in sharks, and that day, a guide with a client caught a sandbar shark (often called brown shark around Cape Cod) close to the beach, a species that averages 50 to 100 pounds. The world record is 260 pounds. This one was smaller than 50 pounds, but the species is a fine battler on light tackle and hangs around shallow water next to beaches and also hangs in channels and bays. A male brown-headed cowbird (Molothrus ater) looks drab in guidebook photos and paintings, but in real life, this species has rather attractive plumage, beginning with the rich-brown, velvety-looking head and neck. The blackish body looks glossy, even iridescent, adding to its attractiveness for folks who like sports uniforms such as the Cleveland Browns. The female looks drab all right – all gray. Casual observers might mistake it for a different species altogether such as a sparrow or female rusty blackbird or Brewer’s blackbird, but birdwatchers even with average skills can easily pick the female out by the stubbier tail and smaller size. Also, in Maine, it would be rare to see a Brewer’s blackbird and a rusty sighting would be a migrating bird in season in Maine. Brown-headed cowbirds forage on open ground and dine on seeds and invertebrates. In Maine, this species is common around working farms. Peterson translates the voice as a high weeee-titi, a high whistle with two lower notes. The song has a bubbly sound with a creaky glug-glug-gleeee. Sibley goes generic on us and calls the song as a series of gurgling notes punctuated by thin-like, sliding whistles. Gadabout Gaddis’ First and Middle Names? In the 1960s on Saturday afternoons, Mainers watched Gadabout Gaddis’ fishing show, as this Bingham fly rodder fished hard for rainbow trout and other trout species all over Maine. Folks called him “Gadabout,” a Maine icon in those halcyon years, before college kids became angry about the Vietnam War turning this country on its ear. These days, we’ve mostly forgotten about Gadabout Gaddis unless a brief news story mentions him. He did have a first and middle name, though. Do you know what Gadabout, a Maine hero’s, real first and middle names were? No state in the U.S. boasts more fly-fishing-only (FFO) waters than Maine, and the Department of Inland Fisheries and Wildlife’s (DIF&W) fisheries biologists inherited the vast majority of them. In short, DIF&W had most of these FFO waters before fisheries biologists worked for the department. The old Department of Fish and Game hired the first fisheries biologists around 1950. Between 1900 and 1950, sporting-camp and lodge operators lobbyed for FFO regulations, so most of these waters lie in cluster around old sporting camps and lodges. In the last 60-plus years since DIF&W initiated a fisheries-biologists division, these biologists often push for artificial lures only (ALO) rather than fly-fishing only – an observation, not a criticism. Maine’s fisheries biologists in the last several decades first reduced the general daily bag limit for salmonids and black bass, so low in fact that until recently, it was difficult to find another state or province with general bag limits that are lower than ours. Bear season blasts off the last Monday of August, the 26th to be exact, and guides baiting these wily game animals always have a full lodge for opening week for folks who want to sit over man-placed bait. This season ends 30 minutes after sunset on Sept. 21. Hunting over small packs of dogs runs from Sept. 9 through Nov. 1, a long season for folks who want the excitement of running through the woods to intercept a fleeing bear or get to a tree with a bear up it, which seems like an unfair hunt. However, this sport offers folks a chance to decide if they want to plug a small, young bear or shoot a true trophy. While a bruin sits there, the hunter can make the decision – shoot or wait for a bigger one. General hunting without bait or dogs kicks off Aug. 26 and continues for over three months, ending Nov. 30. Hunters often call hunting without man-placed bait or hounds, a “fair-chase” method, a derogatory term all right. Hunters after Nov. 1 cannot rely on a trailing hound or man-placed bait and must sit over natural bait such as acorns, beechnuts, apples or whatnot or post themselves over well-used trails or still-hunt, methods that bring out the best in hunters. This fair-chase season lasts four weeks. September kicks off like more of summer, but along toward mid-month, it starts getting cool, lowering lake, pond, river and stream temperatures in salmonid waters. Fishing can really pick up at mid-month, but interestingly, fall doesn’t produce many trophies in the One That Didn’t Get Away Club, suggesting fishing isn’t that great for fall anglers or the autumn crowd is reluctant to kill fish. You be the judge. In this writer’s youth, fall fishing was not a big deal in Maine, but these days, it really attracts legions. In the 1990s before the Shawmut stretch of the Kennebec River collapsed as a brown-trout and rainbow-trout fishery, it was nothing to see 30 to 40 anglers on a 2-mile stretch on evenings or weekends. Because of a consumption warning on the fish – a chemical catch-and-release law so to speak – folks weren’t killing many trout there – if at all for day after day. September archers have gone bonkers over the expanded archery season that lasts three months in special zones. A friend of this writer shot 10 deer one fall in this season. Ten deer! …Image…10 legal whitetails. In 2013, this season runs from Sept. 7 to Dec. 14. September also offers hunters rail and snipe seasons, but darned few people bother. In fact, when the season begins, the actual opening day of the hunt is often not set yet! I’ve hunted this season for rails and felt mighty uncomfortable, because the season had not yet been determined by government officials. I expected that it has been decided and no one knew yet, so I’ be arrested for hunting out of season because the opening day was later that year. Vehicle camping, canoe tripping and backpacking are delightful in September, because 1. temperature often feel perfect and 2. bugs have truly subsided. Exercising this month also feels good because of those two reasons.